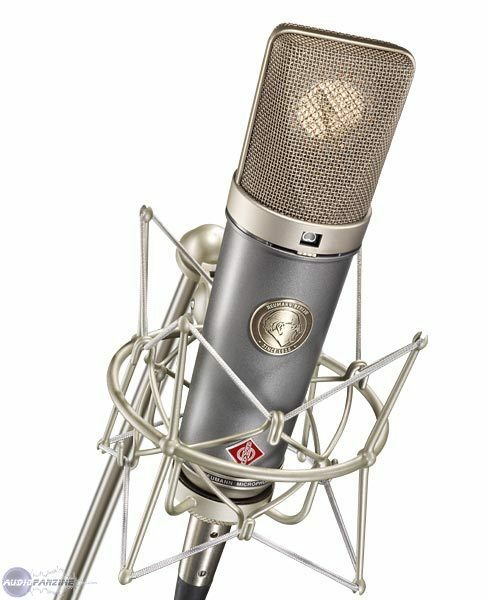 TLM 67, Large diaphragm condenser microphone from Neumann in the TLM series. Neumann celebrates its 80th anniversary with the launch of the TLM 67. 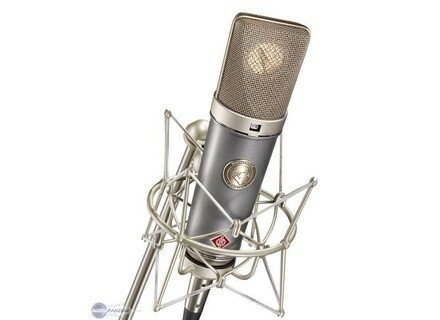 Neumann says that in many respects, the TLM 67 is based on the “workhorse” of the 1960s, the legendary U 67. Like the U 67, the TLM 67 incorporates the K 67 capsule. We're told that in addition, the special new circuit design closely reproduces the sound characteristics of the classic U 67, without the use of tubes. Similar Neumann circuit technology has already proved very successful in the TLM 49. The TLM 67 is designed to be versatile. Its three switchable directional characteristics (omnidirectional, cardioid and figure-8), selectable 10 dB pre-attenuation, and high-pass filter permit detailed adjustments to be made depending upon the specific recording situation. The TLM 67 introduces a novel Neumann dual-color design. The pearl-gray of the microphone body combined with the classic Neumann nickel lends the microphone a touch of distinctive individuality. On the occasion of its 80th anniversary, the Neumann company is honoring its founder, Georg Neumann, with a three-dimensional metal emblem on the front of the TLM 67. DPA Microphones 4017 Shotgun DPA Shows 4017 Shotgun And 4080 Cardioid Lavalier Mics At European AES. Yamaha 01V96 and 02R96 Updated Yamaha Corporation has updated their 01V96V2 and 02R96V2 Digital Mixing Consoles. JZ Recording Equipment Black Hole PE BH3 To improve the series of Black Hole microphones and provide wider choice for customers, JZ decided to launch the third version of Black Hole with a pad of -5db and -10db options.